Sara Agnes Rice Pryor, 1830-1912 My Day: Reminiscences of a Long Life. My Day: Reminiscences of a Long Life. Plantation life -- Virginia -- History -- 19th century. Pryor, Roger A. (Roger Atkinson), 1828-1919. 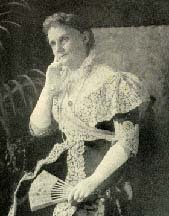 Pryor, Sara Agnes Rice, 1830-1912. Virginia -- Intellectual life -- 19th century.